As promised to our loyal readers we now have an early look at the Costco April 2019 Coupon Book. The April 2019 coupons run from April 17th through May 12th. When you click the link above it will show you all the coupons and allow you to click them to enlarge them. Much like last month, this is another long coupon book at 25 pages. We always post a few of the upcoming deals on our Upcoming Costco Coupon Books page, so make sure to check that out too! You can sign up for our email list, Like us on Facebook or Instagram if you’d like to be notified the second we post our early looks at the Costco coupon books! 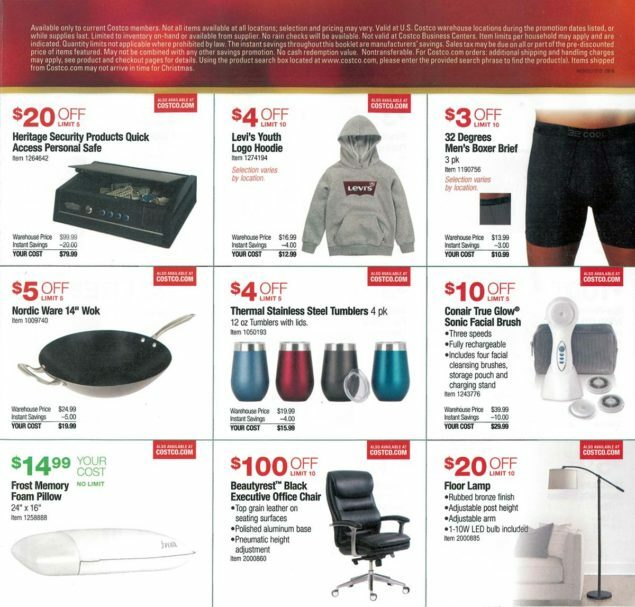 There are lots of interesting deals we would like to mention in the April 2019 Costco Coupon Book. First of all, the Kirkland Signature Daily Facial Towelettes are absolutely amazing and we highly recommend them. Getting $4 off on them is a no-brainer. There are a few pages of summer items for the backyard such as Scott’s Lawn Food at $10 off and Coppertone Sunscreen at $4 off. With allergy season upon us there are a lot of allergy medicines on sale as well. The Costco tire coupon has switched back to $70 off Michelin this month. For those of you who have trouble finding the coupon book you need to follow these steps. First of all make sure you go to the page linked here, the Costco April 2019 Coupon Book page. Then, you click the link in the very first sentence on the page. If that doesn’t work you can also go here. Leave a comment letting us know if you’ll be grabbing anything in this months coupon book and if so, which things. We’ve just released the Costco March 2019 Coupon Book for your viewing pleasure. The March 2019 coupons will run from March 13th through April 7th. Clicking the link above will reveal the coupon pages so you can view them and enlarge them if you’d like. In total this is a rather large coupon book at 27 pages long. Thanks to our friends at Costco97 for helping us acquire the coupons early. Don’t forget to look at the Upcoming Costco Coupon Books page to find out about other coupon books coming soon! You can sign up for our email list, Like us on Facebook or Instagram if you’d like to be notified the second we post our early looks at the Costco coupon books! 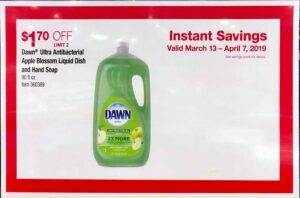 We like many of the deals that are in the March 2019 Costco Coupon Book. As we mentioned on the Upcoming Costco Coupon Books page, the Kirkland Signature Jelly Belly’s are $4 off. The Sanders Chocolate Sea Salt Caramels are one of our favorite Costco products, so definitely glad to see it in the coupon book this month. Since it’s seasonal we always make sure to stock up when we start to see the star on the price tag. The Costco tire coupon for this month is $100 off Bridgestone tires and installation. If you’ve read this far along and you’re wondering where the coupon pages are, you need to make sure you’re on the Costco March 2019 Coupon Book page and then click the link in the very first sentence. Leave a comment with your favorite item out of the March 2019 Costco coupons and we’ll see which one wins! 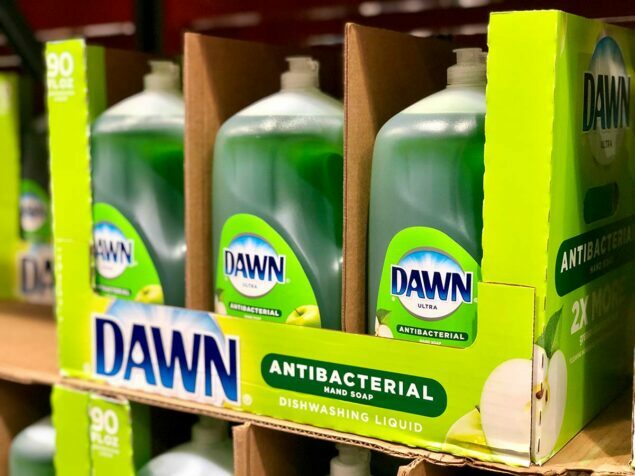 There’s a new product in Costco stores and we couldn’t wait to give it a try. The That’s it. Organic Dark Chocolate Fig Truffle Bites are now in most stores in LA, San Diego, Bay Area, Colorado, Texas, Arizona, and a few other locations sprinkled in. We have a list below of all current locations. Thankfully That’s It was able to provide us with a bag to try. They consist of only two ingredients, fig and dark chocolate. We love how they’re Paleo Friendly, Fair Trade Certified, Non-GMO, Kosher, Organic, Gluten-Free, and Allergen Friendly! It’s hard to fit a product into all those categories and That’s it not only managed to do that but to make an amazing delicious product in the process. What’s also really nice about the truffles is that they’re only 22 calories and 3g of sugar per truffle. We have to say, for such a healthy version of a dessert we are quite impressed. We began our review process quite impressed on our first bite. The texture with the fig is just right, with a little bit of crunchiness yet still very smooth. 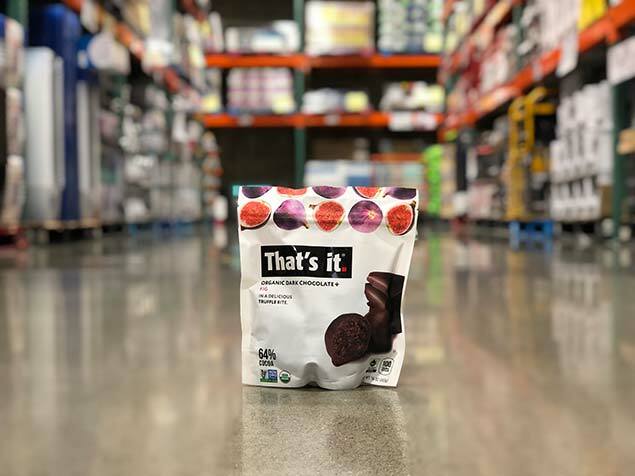 With the That’s it Organic Dark Chocolate Fig Truffles using 64% cacao dark chocolate you satisfy the chocolate craving without having it be overly sweet. This also allows you to eat more due to the low volume of sugar. On the other hand, the truffles have a long finish to them (is that only a wine term? ), which keeps you satisfied much longer compared to most truffles. 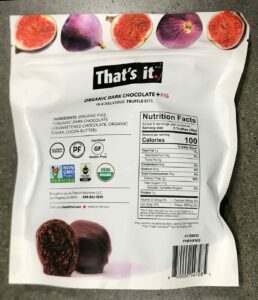 Another benefit to the That’s it Organic Dark Chocolate Fig Truffle Bites is that you get 5 grams of fiber, 2mg of iron, 357mg of potassium, and a dose of antioxidants in every serving. For those chocolate aficionados, we wanted to mention the quality of ingredient here. We think the chocolate is very high quality from a taste perspective. We also love that it’s socially responsible (certified fair trade) and perfectly balanced – not too bitter and not too sweet. In the end, we love the guilt free feeling we have after consuming a few of these for dessert and look forward to having them in our lives regularly. Leave a comment if you’ve tried them as well! As always, we promised early access to the Costco February 2019 Coupon Book and today we have it for you to view. The February 2019 coupons run from February 6th through March 3rd. When you click the link above it will reveal the coupons for you to view and enlarge by clicking. This is a slightly smaller Costco coupon book at 22 pages long. Keep in mind the Super Bowl TV Deals Big Game Savings flyer is still valid with the deals running through February 3rd. Also, if you want to see a constantly updated list of all the upcoming coupon book dates take a look at our Upcoming Costco Coupon Books page. You can sign up for our email list, Like us on Facebook or Instagram if you’d like to be notified the second we post our early looks at the Costco coupon books! There’s a good variety of deals in the February 2019 Costco Coupon Book. We like that there’s quite a few new items too, such as the Isopure Anytime Protein Drink, the Keebler Cookie & Cracker Variety Pack, the LaCroix Curate pack, and more. One of our favorite items to buy that will be on coupon is the Robert Irvine Fit Crunch Whey Protein Bars. The Costco tire coupon is $70 off Michelin again. If you’re wondering how to reveal the coupons on the page and you’re still reading, you must be on the Costco February 2019 Coupon Book page, and then click the link in the first sentence titled Costco February 2019 Coupon Book. Leave a comment with which items you’ll definitely be buying next month! With the Super Bowl just around the corner we bring you the annual Costco Super Bowl TV Deals coupons for 2019. This sale will run from January 13th through February 3rd, which is the actual day of the Super Bowl. When you click the link above you will see all the pages of deals in the flyer. 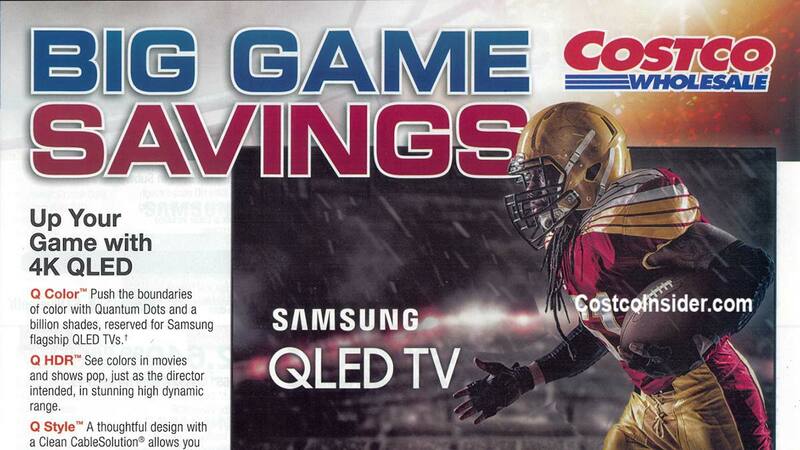 This supplemental Costco coupon book features only televisions, electronics, and appliances. With the Super Bowl being the biggest TV watching event of the year it makes it a great time to upgrade to the newest technology and sizes. Also don’t forget to pickup some Super Bowl snacks such as those featured in the January 2019 Costco Coupon Book (mini tacos anyone?)! What we are referring to as the Super Bowl TV deals are labeled as the Big Game Savings Handout in store. While there are mostly TV deals there are also other great sales throughout the book. In total there are 15 TV deals, 8 electronics deals and 5 appliance deals in the booklet. We love the look of OLED but have a hard time justifying the much higher price, so for us, if we were going to buy a new TV we’d go with the Samsung QLED. You get 4 years of warranty coverage when bought with the Costco Visa card, and then you can buy a 3 year Squaretrade warranty to supplement that as well, getting you 7 years of warranty coverage in total. Which TV deal stands out as the best deal in your opinion? 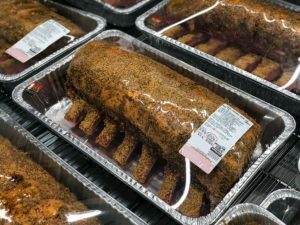 Last year Costco lowered the pricing even further in store to match other retailers as they released their Super Bowl sales. We wouldn’t be surprised if that happened again this year. 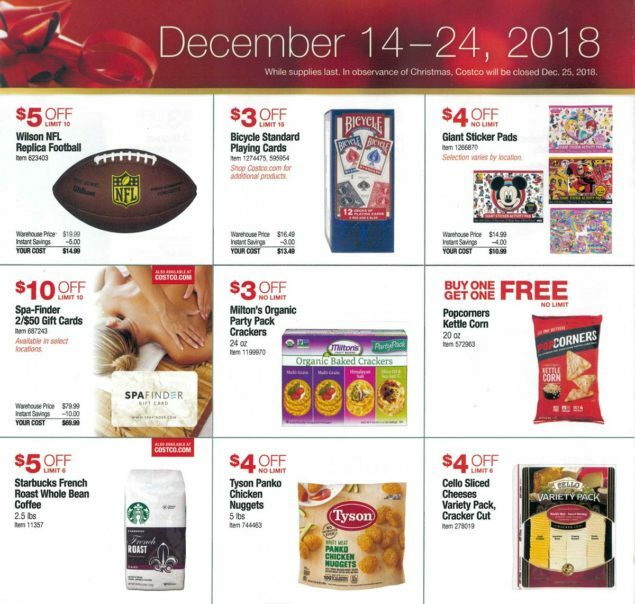 It’s hard to imagine with Christmas still yet to come, but today we bring you an advanced view of the Costco January 2019 Coupon Book. The January coupons will run from January 2nd through January 27th. To view the coupon pages click the link above and you will be able to see them as well as click them to enlarge them. The next coupon book will be the February 2019 Coupon book, which starts on February 6th. This coupon book is a little smaller at 23 pages, compared to 27 last month. If you want to see a constantly updated list of all the upcoming coupon book dates take a look at our Upcoming Costco coupon books page. You can sign up for our email list, Like us on Facebook or Instagram if you’d like to be notified the second we post our early looks at the Costco coupon books! 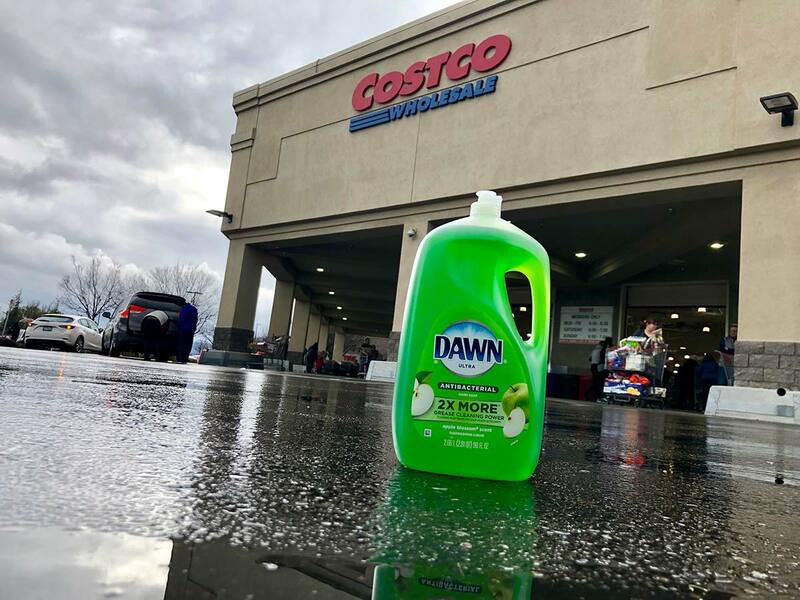 The January 2019 Costco Coupon Book has a few newer items we’re looking forward to try as well as some classic staples that you’d expect. We’re surprised to see the Nest thermostat in there, but after recently reviewing the ecobee 3 lite thermostat we still would recommend the ecobee over the Nest. In our review is also a section comparing the two, so make sure to check that out. The Apple Watch at $30 off is a great deal (really hard to find discounts on Apple products), and we love ours. As expected, there are a few pieces of workout equipment on sale so you can attack that New Years Resolution of yours. The Costco tire coupon has switched back to Michelin ($70 off) for January. To see the coupon pages you must be on the Costco January 2019 Coupon Book page and then click on the link in the first sentence. Let us know what you will be picking up in the January coupon book by leaving a comment mentioning the items! 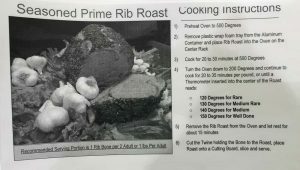 It’s the most wonderful time of the year… to buy Prime Rib at Costco. 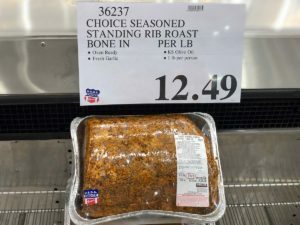 You’ll often see the Costco prime rib price to be much lower than anywhere else you could look, and you can often get Prime grade meat for the price of Choice grade elsewhere. You may notice the excellent marbling of the Prime cuts in our photos below too. The prices across the country have definitely gone up over the years and at the bottom of the page you can look back at various years prices if you’d like. We are referencing Bay Area Region Costco prices, so keep in mind prices may vary in different regions. This weekend, we installed the Costco ecobee3 lite in our home. 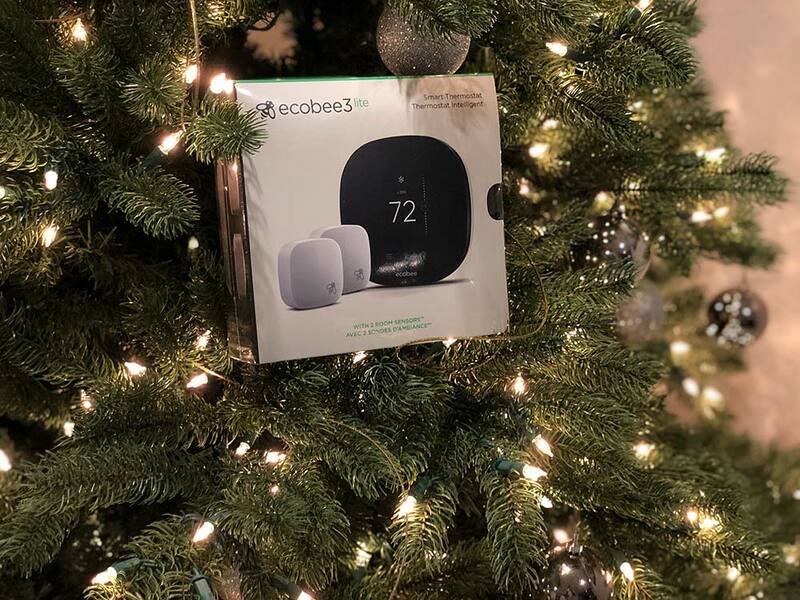 It’s in the December 2018 Coupon Book right now for just $139.99 on sale (through 12/24) and includes two room sensors at this fantastic price, the lowest Costco ecobee price ever offered for this bundle. Also, thanks to ecobee for sending us a unit to review. All reviews and opinions expressed in this post are based solely on our personal views. Your local utility company also likely offers a rebate on smart thermostats, thus saving you additional money. Our utility, PG&E, offers a $50 rebate, and some offer up to $110 off! That brings the overall cost down to $89 for us – making it pretty much a no-brainer to go out and buy one for yourself. Considering the ecobee can save you as much as 23% per year on your utility expenses, it should pay for itself pretty quickly – even without the rebate. You cannot get the ecobee 3 bundle in store, so make sure to order on Costco.com before the deal ends! Although we already have experience with home automation (we have a Smart Things hub), this is our first truly smart thermostat. We were a bit worried about how difficult it would be to set up – especially since we were replacing a “dumb” thermostat and had no idea if we’d have everything we’d need to install it. We were envisioning multiple trips to the hardware store and, possibly, several calls to ecobee tech support. Luckily, all our worries were for nothing and installing our Costco ecobee3 lite was a breeze. We found the installation of the ecobee to be extremely straightforward and simple. We’d estimate it would have taken us approximately 40-45 minutes max from start to finish if we didn’t also take the time to fill in previous holes and paint the wall. * All of the components necessary for attaching and hooking up the unit are included in the box and everything is packaged very nicely. The instructions in the box are very clear with helpful tips at the bottom of every page. The included label stickers for marking your wiring are a nice touch. They even include a power converter accessory in case you don’t already have a “C Wire”. (We didn’t need that – but if you did, we’d allot an extra 15-20 minutes for the install.) The only items you’ll need for installation are screwdriver and, if you can’t use the existing wall anchors from a previous thermostat, you’ll probably need a drill and 3/16″ drill bit. The base of the ecobee even includes a tiny level to make sure you install it straight on your wall – they thought of everything! *You can use the included large circular wall plate to cover up any unsightly holes or marks left behind from your previous thermostat, but since we love the sleek, minimalist look of the ecobee thermostat, we didn’t want to diminish that by having a giant beige wallplate behind it. Therefore, we opted to fill in all the previous holes and paint the wall before we installed the ecobee; this added a couple extra hours to the project when you include drying time for the putty and paint. Once we installed the ecobee on our wall, it was time to fire the unit up and see what it could do. We switched the circuit breaker back on and, voila, the “hi” message appeared on the ecobee screen moments later. We have power!! Within a minute, the unit was walking us through the set-up process, running us through various screens and settings to confirm the set-up. It was all very intuitive and we honestly didn’t feel at any point that we were second-guessing ourselves – which is pretty rare. Once the final step is complete, you can start controlling your heating/cooling. We’d say it took about 5-7 minutes for the basic set-up. We’ve used it a lot the last couple days and it’s been great so far! Beyond the initial set-up, there is not a lot you have to do to use your unit day-to-day, but if you want to get the full benefit of all the programmability and technical wizardry of your ecobee, you’ll want to take a deeper dive into the settings. Not only can you set heating and cooling schedules, but you can also set up a vacation mode in advance, create reminders and alerts, and you can even set your ecobee to “follow you” around the house, using the room sensors to detect where you are and adjust settings accordingly. The coolest (no pun intended) feature of the ecobee3 lite from Costco is the included two additional room sensors. These essentially extend the range of your main thermostat’s temperature sensing abilities to the far reaches of your house. ** With a typical thermostat, you can only measure the temp in the room/hallway where it’s installed; with the ecobee, however, you can finally get the A/C or heater to kick on when, for instance, your bedroom gets too hot or cold. This is especially helpful in multi-level homes where there can be a large temperature differential between upstairs and downstairs. These sensors can also detect presence so that you can set your ecobee to ignore the temp in those rooms if they are not occupied. **The ecobee documentation says your ecobee may have difficulty connecting to sensors more than 45 feet away. Overall, we’re really liking the ecobee3 lite so far. We were thoroughly impressed by how easy they make it to install and set up. We really like that we can turn on the heat (or turn it off when our daughter decides to crank it up to 73) from the couch or while we’re in bed and can even check on the temperature in various rooms of our house when we’re not even there. That will come in handy if we go on vacation and want to make sure it’s not getting too hot or cold for our pets. What we like even more is that it should end up saving us money in the long run with its intelligent presence detection and fine-tunable scheduling features that our previous dumb thermostat didn’t have. In other words, we will no longer be paying to heat or cool the house as much when we’re not there – although we can set the app’s geo-fence feature to turn the heat or cooling on when we’re within a certain distance from coming home. What a time to be alive! We wish we had more time to more thoroughly test out ALL the features – especially trying out the Alexa interactivity and hooking it up to our SmartThings hub. We plan to set up such tasks as having SmartThings turn off the A/C if, say, the back door is open for more than 5 minutes. That’s awesome for a frugal dad like us. We will update the review once we’ve tested those features. In all, we would recommend the ecobee3 lite Costco deal without any hesitation whatsoever to anyone without a smart thermostat. For those with a Nest thermostat (the only real competition), the ecobee seems like an upgrade over Nest if you get a unit with the added sensors; we think those make the system a whole lot smarter. With a 4.8 star rating with 328 reviews on Costco.com you can rest easy knowing we’re not the only ones who think this thermostat is amazing! Being able to adjust the temperature differential so that your heater or A/C condenser cycles less (thus making it operate more efficiently) should start saving you money right away. An example would be if you set the heater to 72 degrees. Every time an old thermostat drops to 71 degrees it turns the heater on. On the ecobee you can set it to wait 2 degrees or more before it kicks on again, lessening how often it cycles on and not wasting as much energy warming up each time. Also, did you know 50% of households don’t set up their programmable thermostat properly? If that’s you (and yes, we’re guilty too), no need to worry with the smart thermostat because it’s always working, always cares, and never forgets, therefore saving you money. 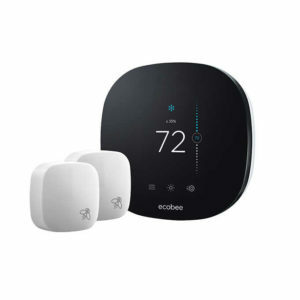 Should I get the ecobee3 Lite or ecobee 4? If you have a humidifier, dehumidifier, or ventilator that you need to control with your thermostat we recommend the ecobee 4 instead. What are our favorite ecobee features? 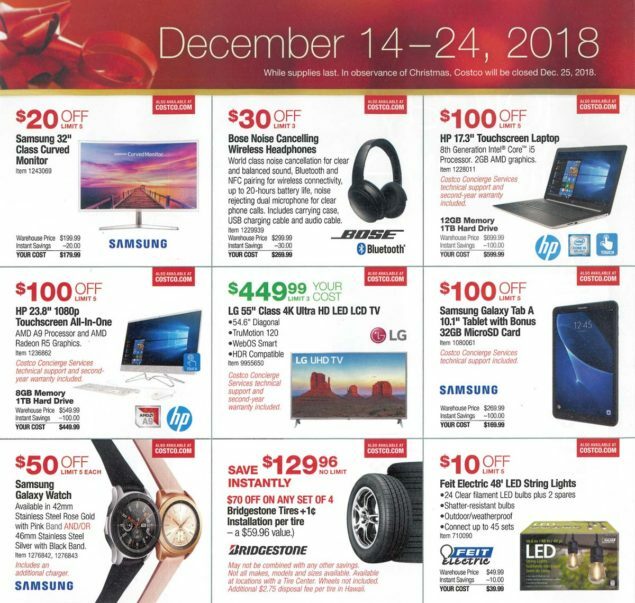 Today we bring you a preview of the Costco December 2018 Holiday Gift Event Handout that is valid from December 14th through December 24th. You will be able to grab one at the door of your local US Costco, but might as well take an early peek online. There are 4 items on the first page that have an early start date of December 9th. The handout is highlighting items that might be good buys as Christmas gifts. There is a variety of laptops, toys, snacks, and more. 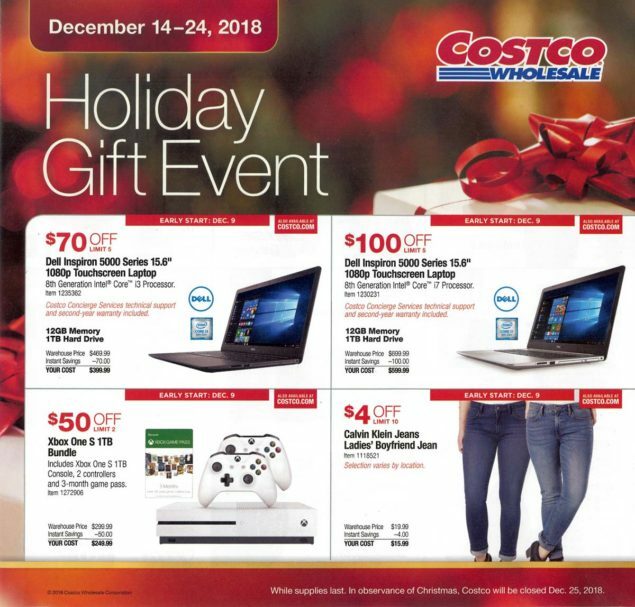 Don’t forget the December 2018 Costco Coupon Book will also be running during this time.